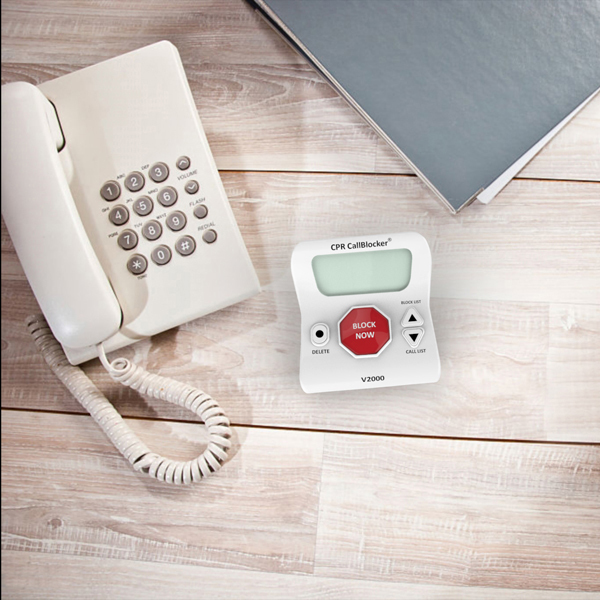 Block nuisance calls with the CallBlocker. 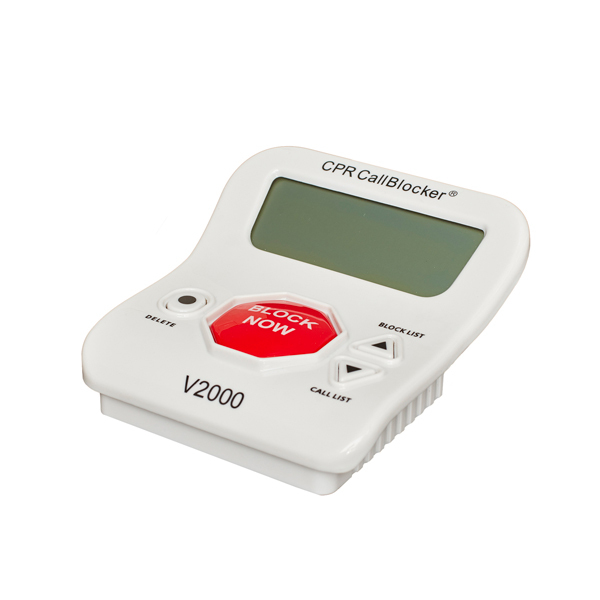 The CPR V2000 Call Blocker allows you to block scam and nuisance calls, even from withheld numbers. 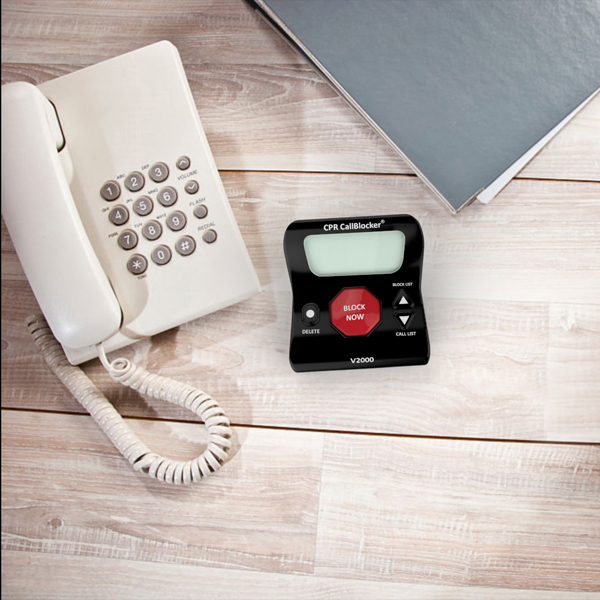 If someone calls who you don't want to hear from, or don't know the number: hit the big red button to block them forever. If you answer the phone and you realise it's a call you don't want: hit the big red button and they're gone permanently. In the bath? Washing the car? Down the garden? Press #2 to achieve the same effect. Worried about blocking all with-held numbers? 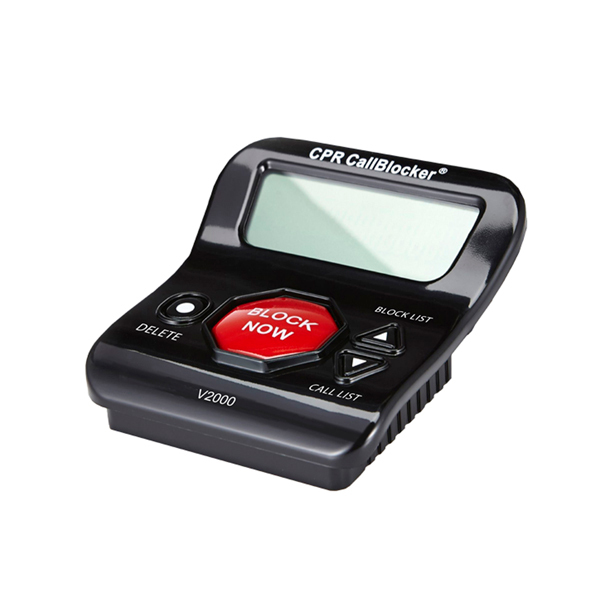 Call Blocker knows which withheld numbers have called before and will only block the ones that have been blocked by you personally. 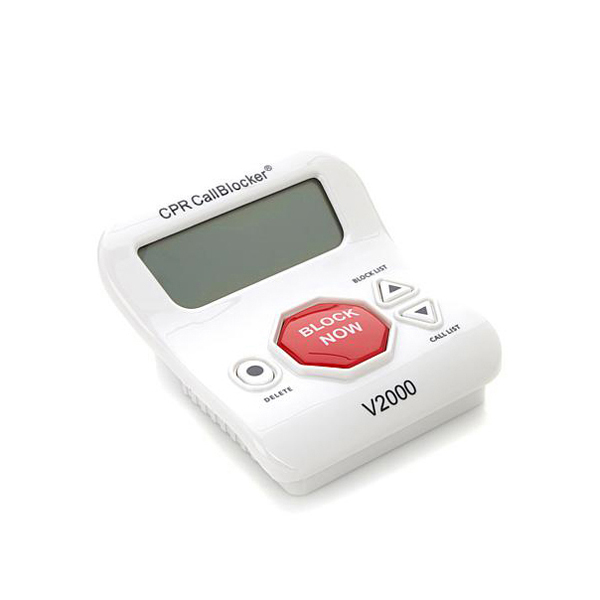 From the moment you plug it in, you immediately block 2000 known nuisance callers without having to press a thing. Never worry about accidentally blocking someone, with two presses of a button you can unblock them again. It also allows you to block international calls, PPI/accident claim calls and even those from private or withheld numbers. What’s more it can block unavailable/out of area numbers, fake spoofed numbers including 00. Installs in seconds: just plug it into your phone. Easy to use: just hit the big red button. Doesn't need mains electricity or batteries.